"ULTRAMAN GAIA" UNLEASHED UPON EARTH! Finally, ULTRAMAN GAIA is now available streaming worldwide! 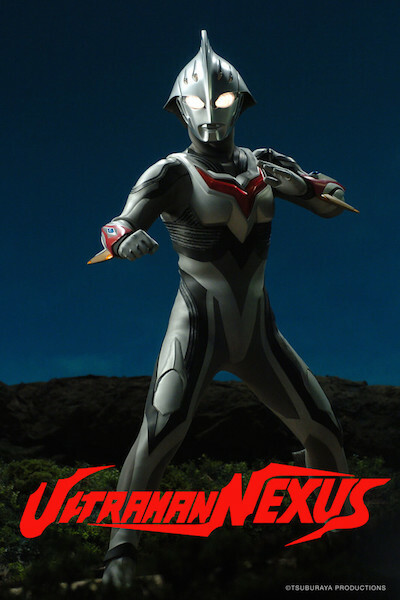 Yesterday, when I broke the news about Crunchyroll's latest addition to their streaming service of on-going "Ultra Series" titles, ULTRAMAN NEXUS (2004), I stated a wish that there would be more coming soon, including one of my all-time favorites in the 1990s run, ULTRAMAN GAIA (1998). Today, the folks at Crunchyroll, gave me the heads up that the complete series of ULTRAMAN GAIA begins streaming today at 5:00 pm (Pacific) — and it's about damned time! 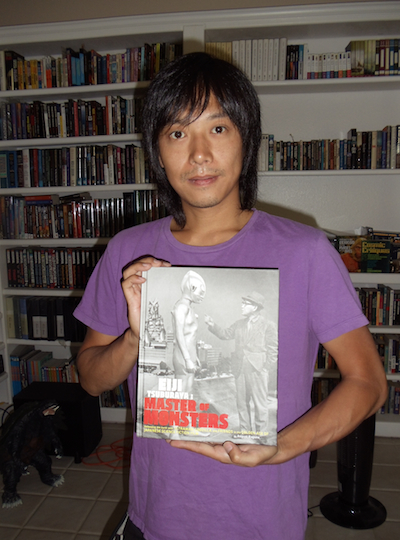 Star Takeshi Yoshioka, visiting the US in 2011 (photo: David Chapple). 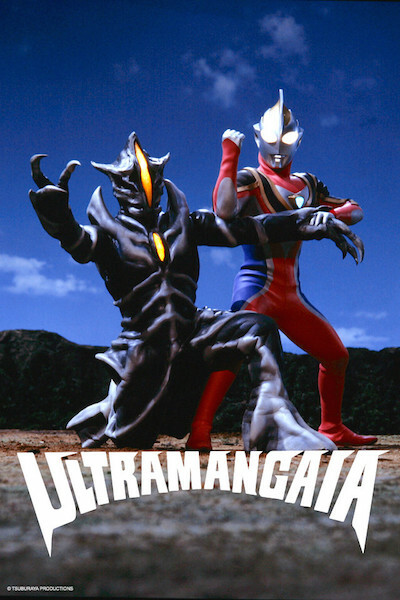 Premiering on September 5, 1998, ULTRAMAN GAIA followed the success of ULTRAMAN TIGA (1996) and ULTRAMAN DYNA (1997), but broke from its predecessors' continuity to exist in a universe all its own, and a far more complex storyline, with multiple character and plot arcs that intersect beautifully, dovetailing into an incredible climax. The series is also a bit extra special for me, because I spent a lot of time on the set over the course of a month during the fall of 1998. But, even though I'm biased, it's still a great series. 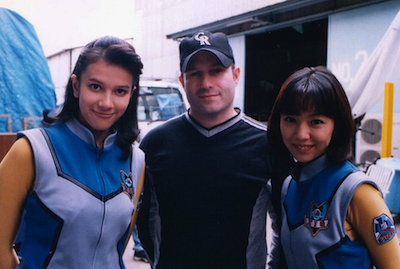 With actors Maria Theresa Gow (left) and Ai Hashimoto (right). At the end of the 20th Century, a network of young geniuses known as the Alchemy Stars, develop a supercomputer, CRISIS, predicting that mankind will be annihilated by an "entity of radical destruction". 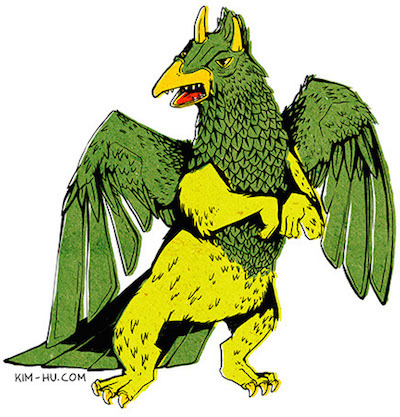 An international concern employs these young men to create cutting edge technology and weaponry for G.U.A.R.D. (Geocentric Universal Alliance against Radical Destruction), a secret worldwide defense network, and their tactical response organization, X.I.G. (eXpanded Interceptive Guardians). 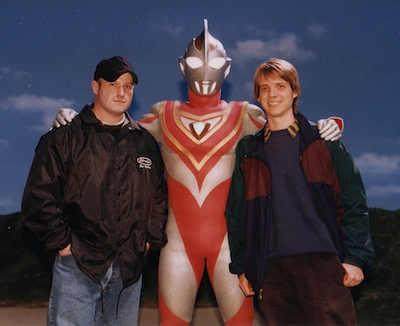 With Brad Warner (right), Tsuburaya's International Sales director. ULTRAMAN GAIA also features fantastic monster designs by Hiroshi Maruyama, a great score by Toshihiko Sahashi, and solid writing by Chiaki Konaka. So, what are you waiting for? You've got 51 episodes to catch up with — get a move on! 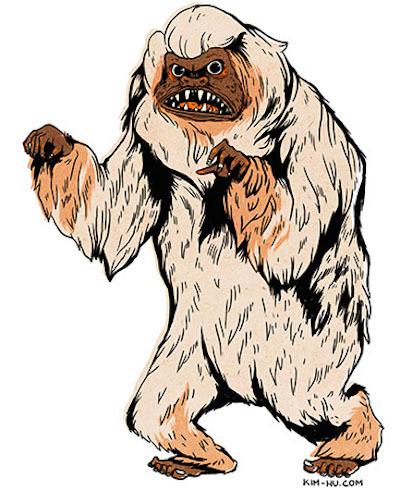 Bemler, the Space Monster from Episode 1. 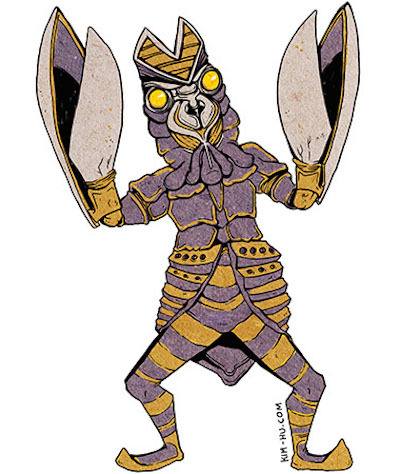 Baltan, the Space Ninja from Episode 2. 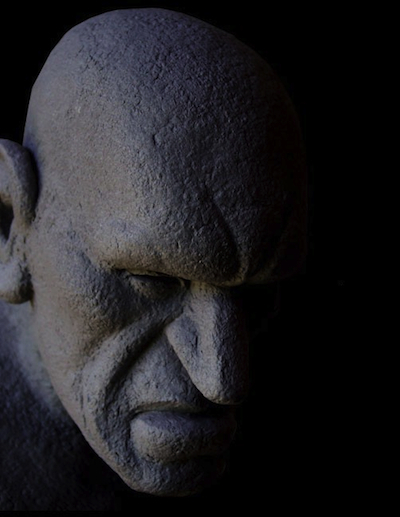 Redking, the Skull Monster from Episode 8. 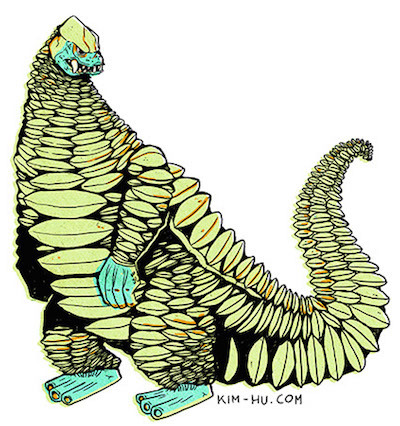 Dodongo, the Mummy Monster from Episode 12. 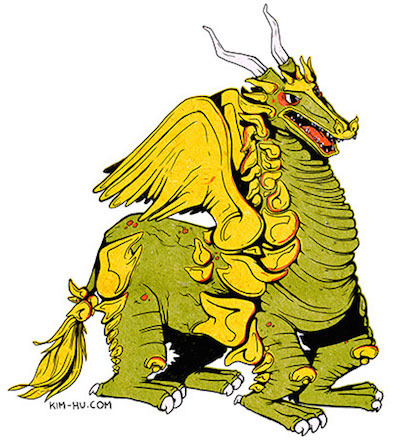 Hidrah, the Highland Dragon from Episode 20. 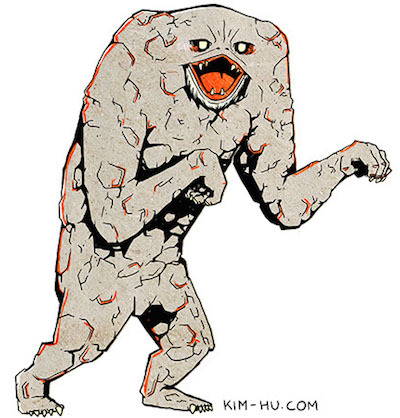 Jamila, the Mutant Monster from Episode 22. Woo, the Legendary Monster from Episode 30. These wonderful pieces, only a fraction of his killer kaiju gallery, were created by Kim Hu — a self-described "Artist. Illustrator. Toy designer. 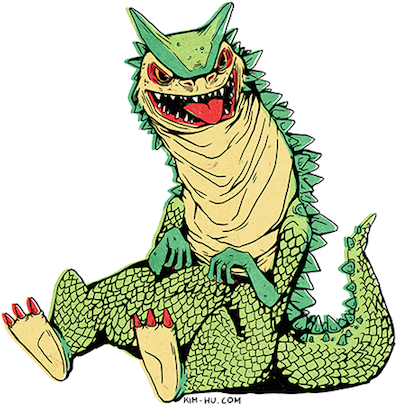 Toycollector" — as part of his Inktober 2015 a-kaiju-a-day challenge. The Tokyo resident, and his fantastic kaiju illustrations, can be found on Instagram or follow him on Facebook.